We are an online store and do not have a bricks and mortar shop. Our phone line is open 9am - 5pm Monday - Friday. If there is no reply please leave a message with your name and number and the nature of your call and we will be happy to call you back ASAP. 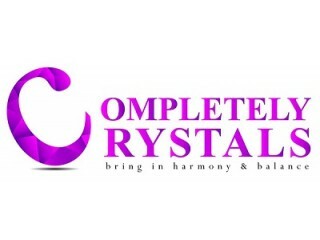 If you have recently discovered the wonders of crystal healing or if you already are a practitioner, we would like to introduce to you Complete Crystals. The ultimate destination for you to perceive and purchase different types of crystals and stones. Completely Crystals has been trading high quality and genuine crystals since 2012. Our most popular products include crystals like moldavite, hematite, angelite, selenite, etc. There is a large variety of powerful crystals on our website from which you can choose your desired stones! We deliver worldwide and have gained reputation for excellent delivery services and supreme quality of our products.